Roger is an experienced physiotherapist and academic with longstanding research and education interests in haemodynamics and manual therapy. He has published widely on clinical reasoning and risk related to cervical artery dysfunction. Roger is a member of the International Federation of Orthopaedic Manipulative Physical Therapist working group for the International Framework for Examination of the Cervical Region for potential of Cervical Arterial Dysfunction prior to Orthopaedic Manual Therapy Intervention 2007-2017. KERRY R, 2011. Examination of the upper cervical spine. In: PETTY NJ, ed., Neuromusculoskeletal Examination and Assessment 4. Elsevier. 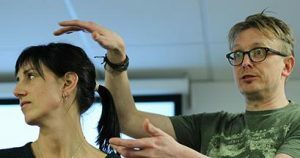 Most of Steven’s working time is spent on research and education at the University College of Osteopathy. 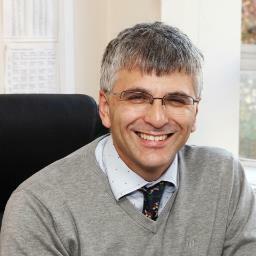 He held a clinical post as an osteopath in an NHS primary care setting for many years. His recent research has focused on reassurance, communication and consent, and safety in manual therapy. He was the lead researcher in the largest UK study investigating patient and osteopath’s experience of risk management and adverse events and consent. Steven has published widely and been involved in the development of NICE’s clinical guidelines for low back pain and sciatica. Vaughan B, Moran R, Tehan P, Fryer G, Holmes M, Vogel S, et al. (2016) Manual therapy and cervical artery dysfunction: Identification of potential risk factors in clinical encounters. Int J Osteopath Med . Doi: 10.1016/j.ijosm.2016.01.007. Pincus, T. Holt, N. Vogel, S. Underwood, M. Savage, R. Walsh, D. A. & Taylor, S. J. C. (2013) Cognitive and affective reassurance and patient outcomes in primary care: A systematic review ‘, Pain.154; 2407-2416. Daniels, G. and Vogel, S. (2012) Consent in osteopathy: A cross sectional survey of patients’ information and process preferences. International Journal of Osteopathic Medicine 15; 3: 92-102.